We recently came together with The Maltings Taphouse and Bottle Shop in Newton Abbot, Vessel in Plymouth and Hops & Crafts in Exeter to produce DIBS, which is short for ‘Devon Independent Bottle Shops’. It was a New England Pale Ale-style beer (or, as we called it, a South West IPA), and was, if we so so ourselves, delicious. 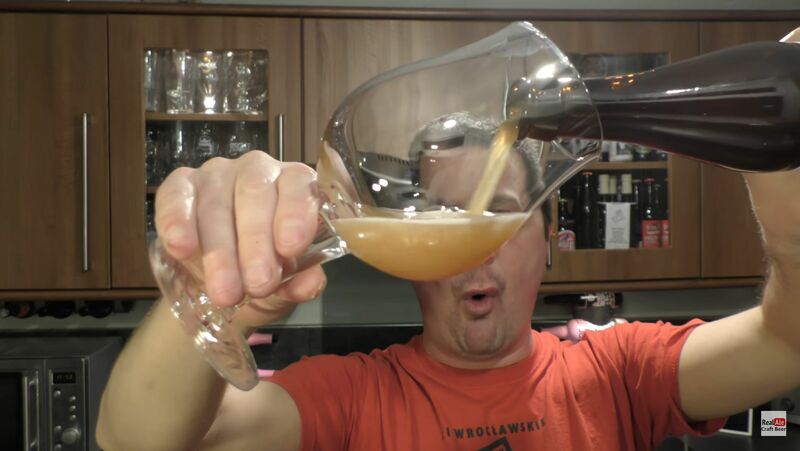 It whipped up a storm online, nowhere more whipped up than in the kitchen of Real Ale Craft Beer, who reviews beer on YouTube. As you’ll see, he rather liked DIBS…. 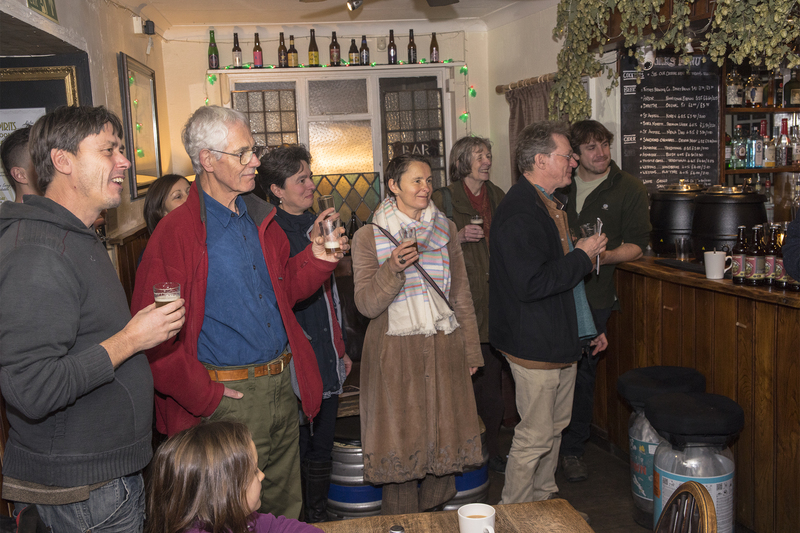 We had a wonderful event last week at the Totnes Brewing Company to launch our Brimhay Beer. You can read more about that brewing project and why we came together to do it here. It was a great evening, and here are a few photos to give you a sense of it. The beer went down extremely well. 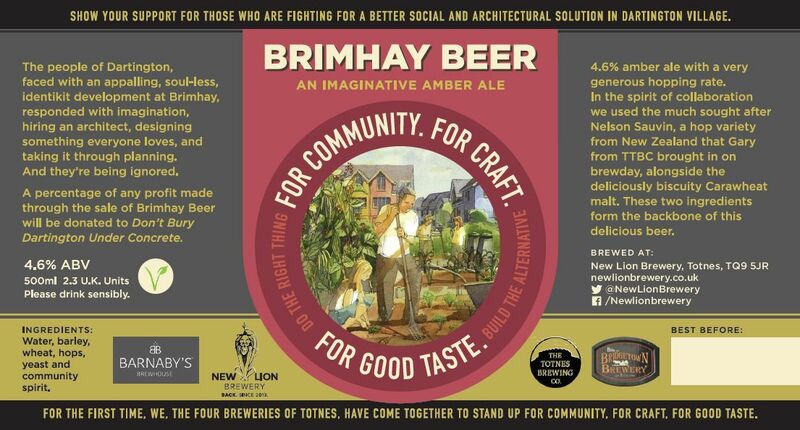 In a historically unprecedented move, the four breweries in the Totnes area, New Lion Brewery, Totnes Brewing Company, Bridgetown Brewery and Barnaby’s Brewhouse, have come together to create a beer with a powerful message. ‘Brimhay Beer: an imaginative pale ale’ goes on sale today across the town. First dibs on the D.I.B.S. We are delighted to announce the launch of D.I.B.S, the fruitful product of our four way collaboration with Devon Independent Beer Shops Vessel in Plymouth, Hops and Crafts in Exeter and Maltings Taphouse in Newton Abbot. We pulled out all the juicy hops to produce this gem, in fact it’s our hoppiest beer so far! Relying on an amped version of our tried and tested New England PA grist this sets the stage for the incredible aroma of 10kgs of El Dorado hops, Mango, orange, apricot aroma with bags of flavour.